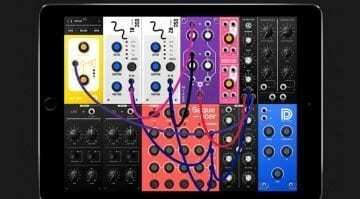 Peley Krane (of Hog Shed Monster fame) got in touch to let us know he’s released a new hand-crafted modular synthesizer called FaithState. 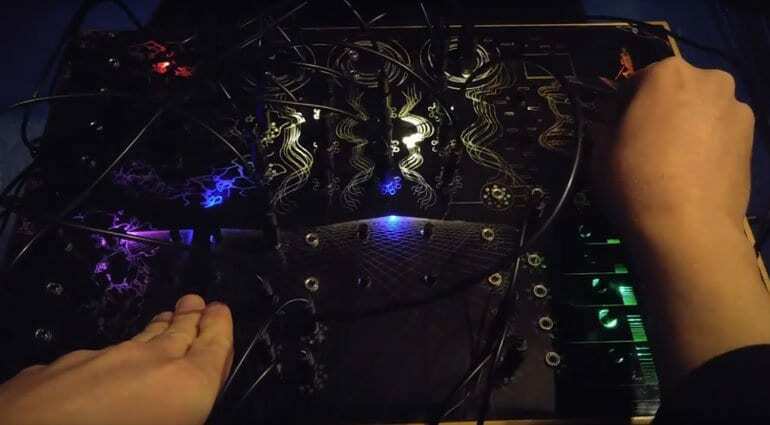 It consists of 9 generators scattered across a single illuminated surface, engraved with mysterious lines, doodles and connections. 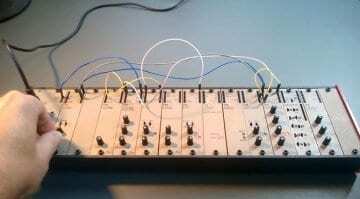 It’s a 12 voice modular synthesizer system built into a wooden case. It doesn’t appear to be bound by the rules of Eurorack, Moog or Buchla, the FaithState has its own thing going on. And I’m pretty sure it’s a digital thing with an analogue front end. The synthesis combines the oscillator, VCA and mixer into a single “Digital Voice Unit”. The sound is sourced from a library of over 500 waveforms, split into 85 groups of 6 waveforms each. 2 of these 6-voice wave sets can be mixed, blended and tuned against each other. The resultant output emerges from 3 identical control channels that have inputs for pitch, amplitude and wave blend. The other generators include a classic Dual Slope generator with controls for Range and Origin. There’s a dual 4 stage voltage bank that can store 8 voltages with various ways of clocking, shuffling, selecting and addressing. And another single row of 4 elsewhere with added clocking controls. A “Giv-Trig” provides 5 asynchronous timers reaching 7 gate/triggers. A sample-and-hold circuit. The Slope Mini is a compact version of the triangle function generator modulation source. 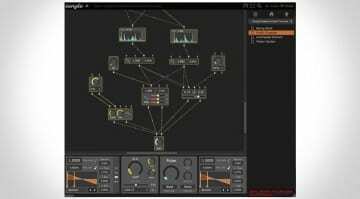 The multi-mode filter rounds off the sound shaping. And the front and centre are these 3 spinning wheels of multiples for tripling up your signals and controls. It sounds complex when you try reading the webpage, but it looks completely beautiful when you see it in action. The lights and the physicality of it are very intriguing. There’s a potential for a lot going on and chaos can be quickly achieved with a fistful of the included patch cables. I’m not entirely sure I understand what’s going on, or whether this has any possible connection to things outside of itself, but I’m certainly into the wondrousness of the performance. I guess the idea is that this is a complete unit it itself. And you need to adopt a state of faith and simply go with it. What is perhaps more remarkable is that the price for one of these is only $444.99. 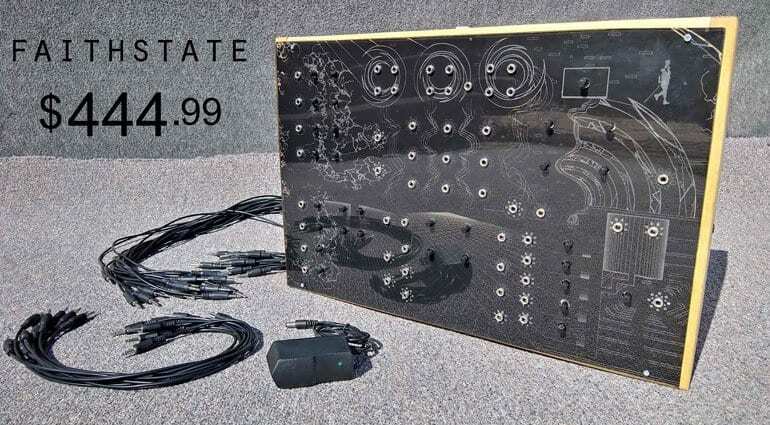 For an experimental, hand-made modular instrument that’s not bad at all. The only slightly disappointing thing is the annoyingly small knobs – but you could always pick up a pack of decent ones from an electronics store and add them on yourself. Peley says that each one takes 2-3 weeks to build so you’ll also need to adopt a state of patience if you fancy a go. Peley Krane strange and interesting webpage. 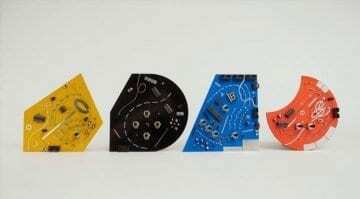 Polytik Modular – is it art or synthesis?